The Philippines is notorious for long. Arduous journeys to way out coastal villages. Where fickle reefs awaiting just the right typhoon swell to ignite. Despite it’s located on the main island of Luzon. The town of Baler is no exception. Baler is the political and economic center of Aurora. It’s located some 230 kilometers northeast of Manila. Via a mountain pass accessible by bus and private vehicle. 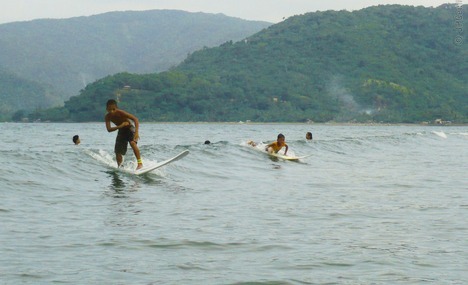 2 to 3-meter waves serve as Baler’s main tourist asset. Attracting hundreds of surfers during the surfing season from September to February. This is where you can get the cheapest surfing lessons on earth. Taking the adventurous trip. Over the rolling Sierra Madre mountain range in the province of Aurora. This nerve-jangling road trip is a spectacular visual delight. Of passing waterfalls, rivers and a lush cloak of the tropical forest full of biodiversity. The surfing scene in Apocalypse Now. Got filmed in Baler at Charlie’s Point and when the film crew departed. They left their surfboards behind. The locals took to surfing with a passion. Also, it is no surprise that Edmund Mendoza. 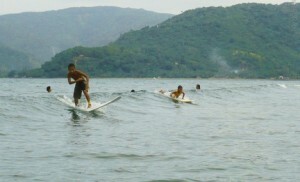 The first national surf champion came from Baler. The birthplace of Philippine surfing. The crowd scene is still mellow. With about 50 surfers and only 20 surfboards. While surf quality is way better than what got shown in the movie. Situated south of Quezon Memorial Park, in its vicinity, stands Mount Carmel College. Baler’s patron saint is San Luis Obispo de Tolosa. The church built mainly of stones and bricks. This was the old historical famous garrison. During the Spanish regime and the last pocket of resistance. Of the Spanish armed forces to surrender to the American Troops. It existed until the end of 1939. When the foundation of the new church got laid. As the old church was almost eroding and falling into pieces. The present church is getting built. Through the initiative of the late President Quezon’s wife Dona Aurora. Their family and friends with the cooperative effort of the townspeople. 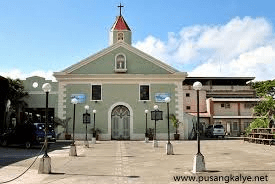 The church got proclaimed as one of the historical landmarks of the Philippines. By the National Historical Institute in 2000. The plateau covers an area of about two hectares overlooking the Pacific Ocean. It is approximately six kilometers from the town of Baler via Kinalapan-Cemento road. It can also get reached by traversing the river of Tibag. Also, it is more or less 20 minutes walk from Castillo. During the Tromba Marina. aAphenomenal tidal wave in during 1735, which swept the town of Baler. It got used by the old folks as their get-away. The place became their temporary resettlement. Which they called “Kinagunasan”, meaning “devastated”. When the pirates demolished the whole town capturing more or less 450 people. Including three priests, one of whom was allegedly sold. The survivors escaped by fleeing and hiding in the forest around Ermita. 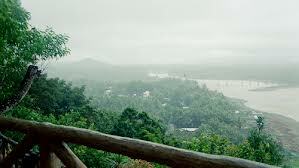 Ermita Hill got identified as the site for Philippine Civil Service Centennial Forest. This house was re-build in honor of the wife of the late Commonwealth President Manuel L. Quezon. Doña Aurora is known for her efforts. In providing social welfare services especially to the people of Aurora Province. The Park got developed to serve as a landmark of Baler, Quezon. It being the site of the late President Manuel L. Quezon’s birthplace and house. 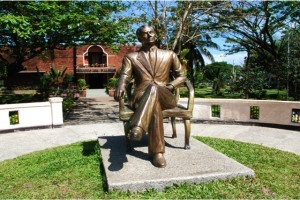 A bronze sculpture of President Quezon seated in his usual stately fashion serves as a centerpiece of the park. Located in Quezon Park, it has the photo exhibit of Pres. Quezon and his family and other leaders of the province. Pictures of the past events during the American, Spanish and Japanese period. Showing the history and culture of Aurorans, scenic spots and ethnic tribes of the province are on display. There are things to get read about the province. Also, its people especially the Dumagat and Ilongot.